Publisher Europa Editions has recently launched a new series featuring the best of international crime fiction. 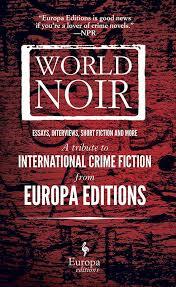 As a taster, World Noir, is a collection of essays, interviews and short stories on the genre. The book is dedicated to the memory of Marseilles writer Jean-Claude Izzo and has, as you would expect a strong Mediterranean feel. But we are also promised taste of noir from around the world in the forthcoming series that includes writers from Australia, the US and Ireland. World Noir is broadly split into two parts. The first is a set of essays, interviews and tributes. I haven’t read any of Jean-Claude Izzo’s works but I have one sitting on my shelf. And the best compliment that I can give this book is that I’m now dying to try the author. Essays from fellow crime writers such as Massimo Carlotto and Andrea Camilleri give a sense as to how influential Izzo has been on a generation of authors. Writers and readers seem to have fallen in love with the central protagonist of Izzo’s books, Fabio Montale. The essays do widen in scope of to include an assessment of Irish crime fiction by Gene Kerrigan and the influence of Michael Didbin. The rest of the book is a taster of fiction from writers around the world including Benjamin Tamuz from Israel and our own Stav Sherez from Britain. A Dark Redemption was the only book that I had read (I’m a fan) but a taster from the other authors has thrown up some future reading from me. I particularly liked the passage from the quaintly name Summertime, All the Cats are Bored by French writer Philippe Georget. I’d recommend this new series to anyone who is hoping to expand their knowledge of noir. This reader was very well produced – for a paperback it has lovely thick pages and this is a foretaste of things to come from the series. The books that I’ve seen have been produced to a similarly high quality. Many thanks to Europa Editions for sending me a copy of the reader. This sounds like an excellent way to expand my interest in noir – I’ve not ventured much out of the US. Thanks Vicki. BTW I’ve been admiring your pineapple pictures on Pinterest…. Thanks Col. I’ll look forward to hearing what you think of Izzo’s books. Sounds very interesting. I like articles about crime fiction almost as much as reading crime fiction itself. 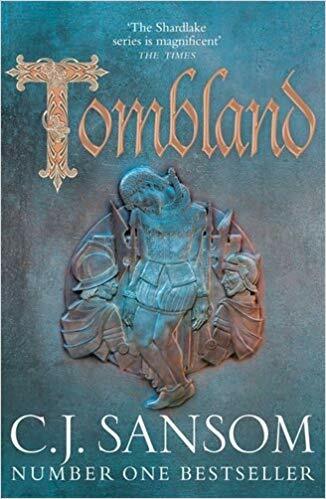 I read the first Marseilles trilogy book, and it was a bit bleak and dark for me. But I am still considering reading more of the trilogy. I have purchased several other Europa editions. They are publishing very nice editions of crime novels. I agree that the Europa editions are very nicely produced. I don’t read that many non-fic crime books but I usually enjoy them when I do. Sure am glad my comrade in crime over at NoirNation and plenty of shadowy crossroads left a determinable bread-crumb trail over to your site and this write. DEFINITELY going to delve into WORLD NOIR. (I’ve already begun the beguine of sleuthing some of the crime-instincts of YOU. Thanks for stopping by, Kate. I hope you enjoy the book. I hope you’ll enjoy the Marseille trilogy by Izzo. It’s very dark but powerful (although I have never set foot in Marseille ever since…) Never heard of Philippe Georget but I’ll check it out. Great! Another recommendation for Izzo. I’ve never been to Marseilles but I’d love to visit the city sometime. Busy writing I guess? Thanks for the comment Christina. Thank you Sarah, for the lovely review! Philippe Georget is a brand new author, Summertime, All the Cats are Bored will be out in July. About the Marseilles Trilogy, Chourmo is my personal favourite… The reader is available as a free download, look out for the links Sarah is kindly posting. Thanks Daniela. There are plenty of author’s that I’m looking forward to. Thanks Moira. Well the reader is free, so no problems if it’s not to your taste. It’s a great book to dip in and out of.